At our Christmas concert we were joined by professional singers - and LBC friends - Philippa Hyde (soprano) and Paul Esswood (countertenor). This was their first concert with us since they had kindly agreed to become our new patrons following the death of Sir Neville Marriner in autumn 2016. The choir opened the concert with 'Wachet auf, ruft uns die Stimme' by JS Bach, under the baton of its musical director, Alex Davies. The main work in the first half of the concert was Vivaldi's Dixit Dominus, which has solo movements as well as those for the full choir. The soloists were: Philippa Hyde & Chloe Stratta (Soprano), Julie De'Ath Lancaster (alto), Nicholas Hawker (tenor) and David Fouracre (bass). After the interval Philippa and Paul took centre stage. Unfortunately Paul had a heavy cold and was unable to sing, but he spoke briefly to the audience before introducing Philippa, who sang a number of solo pieces. Paul then conducted the final work, Bach's Magnificat in D major, with solo movements taken by our group of professional singers as before. The concert was accompanied by a group of professional instrumentalists, including strings, woodwind, brass, timpani, harpsichord and chamber organ. Philippa Hyde also gave a singing masterclass at St Michael's on the previous afternoon, attended by several Lyme Bay Chorale members. In spring 2017, Alex Davies introduced the Lyme Bay Chorale to the very talented organist, conductor, music educator and examiner Peter Parshall. As well as maintaining a private teaching practice, Peter is a tutor for the South Wessex Organ Society's residential courses, director of music at Axminster Parish Church, director of RSCM Voices West, guest director to the Axminster and District Choral Society and Axminster Chamber Choir, and accompanist to Bridport Choral Society. He is also the musical director of Yeovil Chamber Choir. Peter worked with Lyme Bay Chorale as they rehearsed for their spring concert, and conducted the performance on 14th May. The concert's centrepiece was the intensely moving Requiem by Maurice Duruflé (1902-86), which dates from the era of the second world war. Commissioned by the Vichy Regime, it was still incomplete when the regime collapsed in 1947. Like Fauré before him, Duruflé chose to omit some of the more bombastic and turbulent texts - the complete Dies Irae, for example, although the wording appears briefly in the Libera Me movement. This makes for a more meditative, calming setting of the Requiem - more introspective perhaps, reflecting what had happened to France during the war. The choir also performed Stanford's 'Lo I raise up', written in response to the horror at the 1914-18 war and at what the composer saw as Germany's abandonment of its artistic heritage. It seeks to articulate his hopes for Britain's deliverance, using the words of the Old Testament prophet Habakkuk. Britten's 'Rejoice in the Lamb' is a highly idiosyncratic and ecstatic 'praise and worship' of God by all created creatures. The words are from 'Jubilate Agno' by Christopher Smart (1722-71). The guest conductor on this occasion was Dr Richard Hall, the director of the Dorset Rural Music School (DRMS) in Blandford Forum. 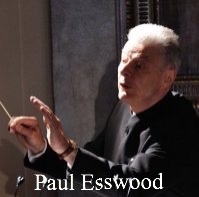 He was educated at Dartington College and the University of Durham, graduating in 1973.before going on to take a PhD in English music at the time of the Great War, also at Durham. A musician, conductor, teacher and examiner, Richard has expanded the scope and range of activities that DRMS offers, working beyond the one-to-one instrumental lesson to involve a wider public in music-making and music appreciation. "Richard is a wonderfully warm, relaxing person to work with and brings a huge wealth of experience to the choir," said Alex Davies. "We were rather amazed to find he rides over on his motorbike from Blandford to rehearse the choir, arriving in his leathers." Richard is also a member of the Motorcycle Awareness Association. Ralph Vaughan Williams's Mass in G minor is a choral work written in 1921. It is perhaps notable as the first mass written in a distinctly English manner since the sixteenth century. The composer dedicated the piece to Gustav Holst and the Whitsuntide Singers at Thaxted in north Essex, but it was first performed by the City of Birmingham Choir on 6th December 1922. Although the first performance was in a concert venue, Vaughan Williams intended the mass to be used in a liturgical setting. The piece is written for unaccompanied double choir and four soloists. For this concert Alex put together a 12-piece professional orchestra, many of whom have close ties with the local community. Likewise, several of the soloists - namely soprano Chloe Stratta, alto Julie De'Ath Lancaster, tenor Leslie Baker and baritone David Fouracre - are all popular local professionals. 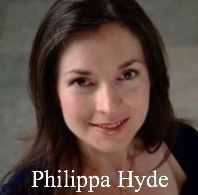 "We were lucky to be joined again in the concert by renowned soprano Philippa Hyde, who also generously offered to give a singers' masterclass on the day before the concert to members of the choir and other singers who wanted to take part. This was a very special opportunity for a small group of singers to work on their technique and interpretation with Philippa," said Alex. The ensemble of soloists and choir performed the music of Ravel, Fauré, Duruflé and Messiaen and two significant works by Benjamin Britten" 'Rejoice in the lamb' and Jubilate in C. Further contrast and intriguing variety were provided with the mystical minimalist style of Estonian composer Arvo Pärt and the exquisitely rich and luscious harmonies of Sergei Rachmaninov. Soaring solo lines by soprano and horn interweaved with the rich choral texture. Two young musicians, Chloe Stratta and Andrew Humphreys, sang solo pieces in each half of the programme. We were very fortunate to welcome Judy Martin (pictured below) as our guest conductor for this concert. Judy studied at Selwyn College, Cambridge, and has held organist posts at Exeter College, The Queen's College and Christ Church Cathedral in Oxford. She founded the the nine-voice professional vocal ensemble Voces Sacrae, with which she has made many recordings, performed on BBC Radios 2, 3 and 4, national TV in Australia and in venues home and abroad. The choir and singers from other local groups rehearsed and performed Faure's Requiem with guest conductor Julie De'Ath Lancaster. Soloists: sopranos Philippa Hyde and Chloe Stratta, alto Julie De'Ath Lancaster, tenor Leslie Baker and baritone David Fouracre.